Archeologists working in Sardinia's southwestern region have uncovered a new 'giant', officials reported on Thursday. 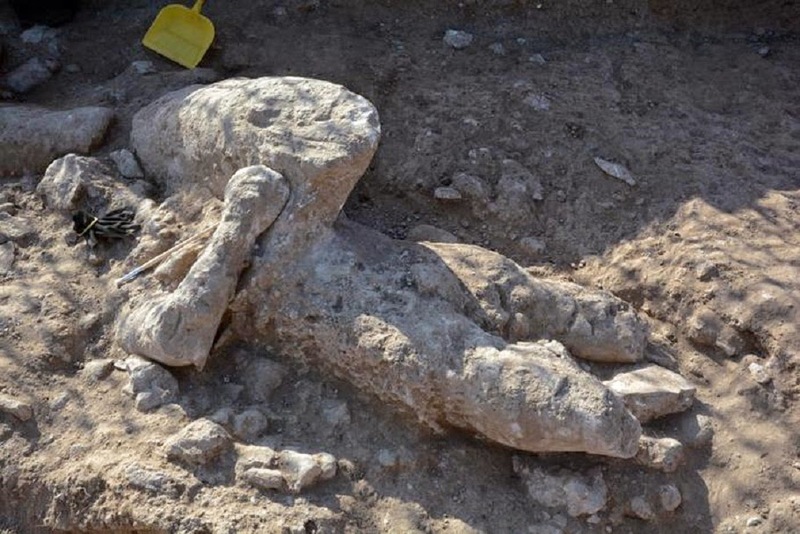 Archaeologists from the Superintendency of Cagliari and Oristano and Cagliari and Sassari universities dug up another monumental sandstone giant at the Monte Prama excavation site in Oristano on Thursday morning. The Monte Prama site is home to the Giants of Monte Prama, ancient stone figures from the Bronze-age Nuragic civilization that were discovered en masse in the early 1970s. Suggestion challenges the traditional Out-of-Africa human migration theory for new stone tool introduction into Eurasia. It wasn’t exclusively the arrival of new people from Africa with new technology that changed the stone tool repertoire of early humans in Eurasia a few hundred thousand years ago—it was local populations in different places and times gradually and independently wising up to a better industry on their own. So suggests Daniel Adler, associate professor of Anthropology at the University of Connecticut, and colleagues based on a recently completed study in which the researchers examined thousands of stone artifacts recovered from Nor Geghi 1, an Armenian Southern Caucasus archaeological site that features preserved lava flows and artifact-bearing sediments dated to between 200,000 and 400,000 years ago. The artifacts, dated at 325,000 – 335,000 years old, were a mix of two distinct stone tool technology traditions—bifacial tools, such as hand axes, which were common among early human populations during the Lower Paleolithic, andLevallois, a stone tool production method typically attributed to the Middle Stone Age in Africa and the Middle Paleolithic in Eurasia. The researchers argue that the coexistence of two technologies at Nor Geghi 1 provides the first clear evidence that local populations developed Levallois technology out of existing biface technology. A Yale historian wants us to rethink the terrible tales about the Norse. This illustration shows the stereotype of Viking marauders wreaking mayhem, even on clergy. The scene depicts the monastery at Clonmacnoise, Ireland. The Vikings gave no quarter when they stormed the city of Nantes, in what is now western France, in June 843—not even to the monks barricaded in the city's cathedral. "The heathens mowed down the entire multitude of priest, clerics, and laity," according to one witness account. Among the slain, allegedly killed while celebrating the Mass, was a bishop who later was granted sainthood. To modern readers the attack seems monstrous, even by the standards of medieval warfare. But the witness account contains more than a touch of hyperbole, writes Anders Winroth, a Yale history professor and author of the book The Age of the Vikings, a sweeping new survey. What's more, he says, such exaggeration was often a feature of European writings about the Vikings. 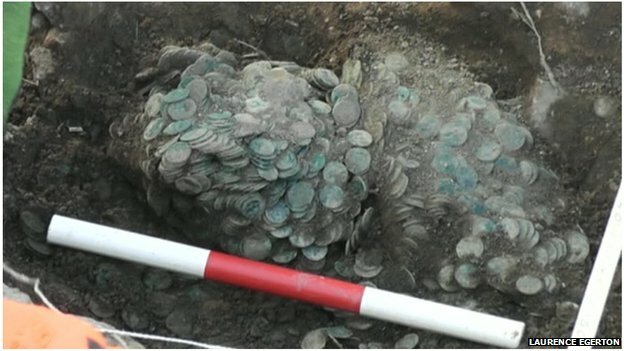 A hoard of 22,000 Roman coins has been unearthed near Seaton in east Devon. The Seaton Down Hoard is believed to be one of the largest and best preserved 4th Century collections to have been found in Britain. They were discovered last year by builder Laurence Egerton, 51, using a metal detector. The Royal Albert Memorial Museum in Exeter is launching an appeal to buy the coins so they can be put on display in the city. More than 300 coins from the I-VI century AD and further hundreds of objects made of bronze, glass, bone and antlers discovered archaeologists from the Centre for the Study of Antiquity of Southeastern Europe of the University of Warsaw during the excavations in Novae near Svishtov in Bulgaria. "August campaign has brought a very rich archaeological crop in the form of luxury items used by Roman legionnaires. Curiosities include dagger handles made of ivory" - told PAP Prof. Piotr Dyczek, head of research. The work also yielded important findings concerning the architectural solutions. Scientists have identified a fragment of a wooden barrack of the 1st cohort of the Eighth Augustan Legion, stationed at Novae from the mid-1st century. His remains are preserved only in the form of more than 200 holes remaining after the wooden pillars that held the structure, and relics of walls made of wicker and clay. More than 300 coins from the first to sixth centuries AD and hundreds of objects made of bronze, glass, bone and antlers have been unearthed by archaeologists during the excavations in Novae near Svishtov in Bulgaria. 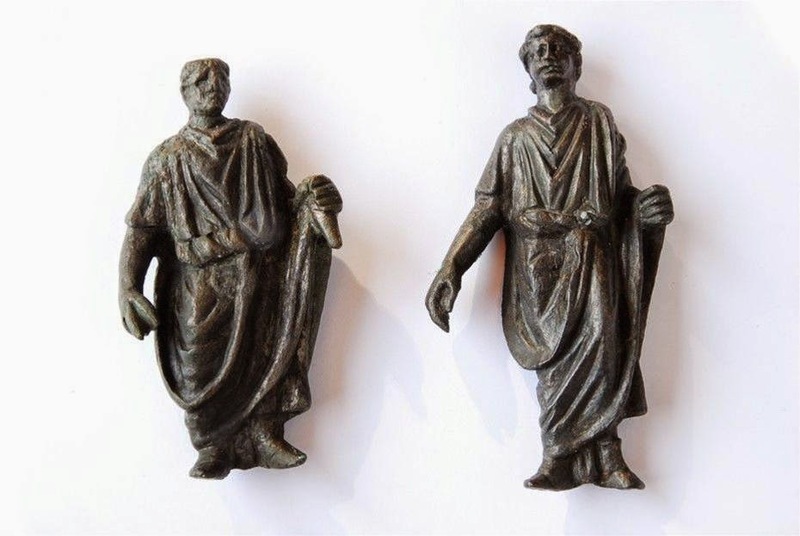 "The August campaign has brought a very rich archaeological crop in the form of luxury items used by Roman legionnaires. Curiosities include dagger handles made of ivory", said Prof. Piotr Dyczek, head of research. An East Devon metal detector enthusiast has stumbled upon one of the largest hoards of Roman coins ever found in Britain, prompting a local museum to launch a campaign to buy the “remarkable” collection for the nation. 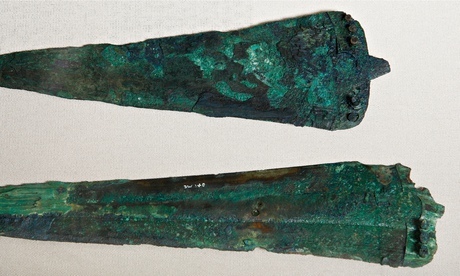 The British Museum announced the discovery of the Seaton Down Hoard today. Comprising of about 22,000 coins dating back more than 1,700 years, it is the fifth largest find of Roman coins in Britain. Laurence Egerton, 51, a semi-retired builder from East Devon, discovered two ancient coins “the size of a thumbnail” buried near the surface of a field with his metal detector in November last year. A hoard of 22,000 Roman coins has been unearthed on land near Seaton in East Devon. 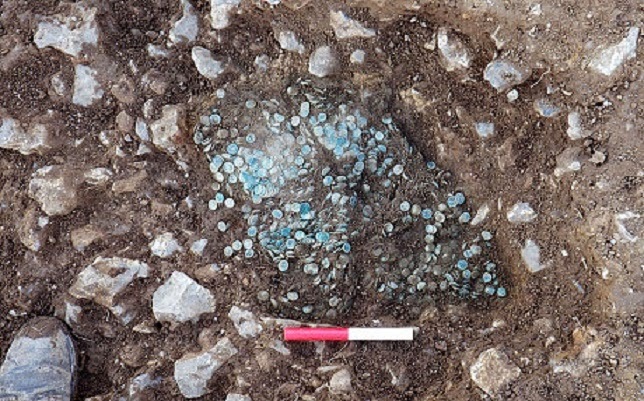 The “Seaton Down Hoard” of copper-alloy Roman coins is one of the largest and best preserved 4th Century collections to have ever been found in Britain. The hoard was declared Treasure at a Devon Coroner’s Inquest on 12th September 2014 which means it will be eligible for acquisition by a museum after valuation by the Treasure Valuation Committee, a group of independent experts who advise the Secretary of State. The Royal Albert Memorial Museum in Exeter, which already houses a large collection of local Romano-British objects, has launched a fund-raising campaign. Join Wessex Archaeology at Exeter Quay this week where we will be carrying out a small excavation to investigate the early phases of quayside development. Visitors will have the chance to witness the excavation in action and see any finds that might be uncovered. You will also be able to handle a range of artefacts from different periods and take part in hands-on activities including sandpit digs and clay pot making! 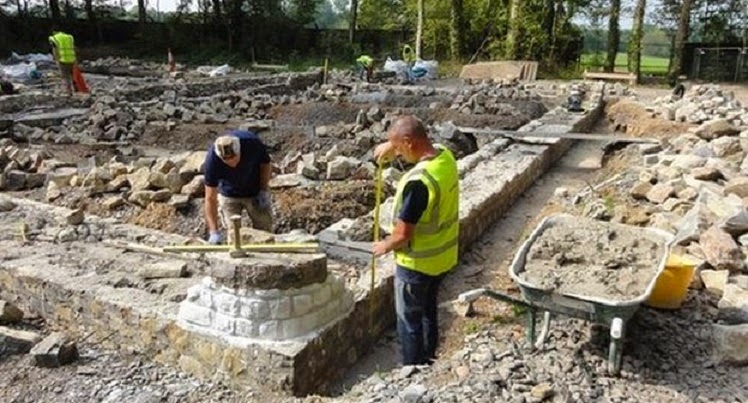 Work to reconstruct one of the medieval courts of the Princes of Gwynedd has begun at St Fagans National History Museum, near Cardiff. Rebuilding the great hall from Llys Rhosyr on Anglesey will be one of the most challenging archaeological projects attempted in Wales, said the museum. Part of its original stone structure recovered from Angelsey will be used. Once complete, schools and groups will be able to stay overnight. The project will see the building's nine-metre high (29.5 ft) stone walls and thatched roof rebuilt and is part the wider renovation of St Fagans. Early modern humans inhabited the region of what is today known as Austria around 43,500 years ago, living in an environment that was cold and steppe-like, according to a recent study. Philip Nigst and colleagues of the Max Planck Institute for Evolutionary Anthropology and other institutions analyzed stone tools and their context after a re-excavation of the famous Willendorf site in Austria, the site best known for the discovery in 1908 of the Venus of Willendorf figurine. Between 2006 and 2011 archaeologists uncovered an assemblage of 32 lithic artifacts and 23 faunal remains. The authors identified the tools as belonging to the Aurignacian culture, generally accepted as associated with modern humans. The researchers determined this through systematic morphological and technological analysis. They assign the artifacts to a very early archaeological horizon of modern human occupation. 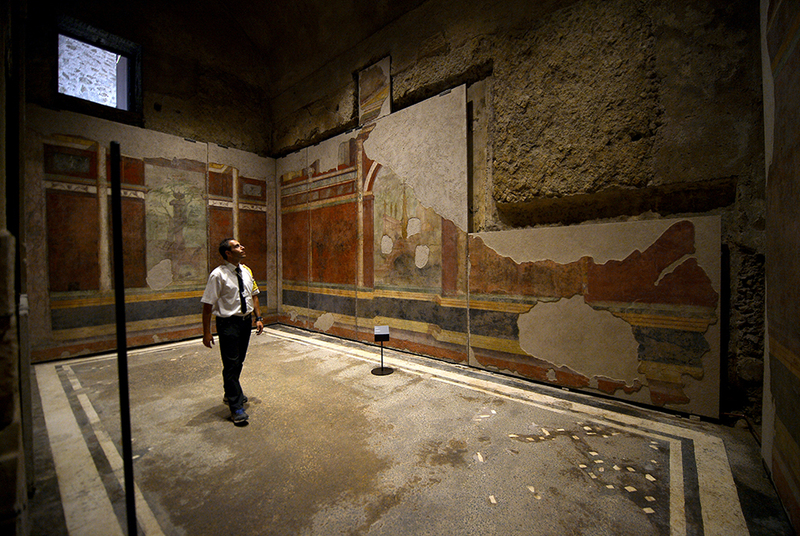 A security man stands inside a room at the House of Augustus on the Palatine hill in Rome on September 17, 2014. The house of Emperor Augustus opened its doors to the public on September 18 after years of restorations. AFP PHOTO / FILIPPO MONTEFORTE. Mobile computing (for example, with tablets, even smart phones) is becoming more and more the normal way of collecting, mapping and archiving information, says Counts. 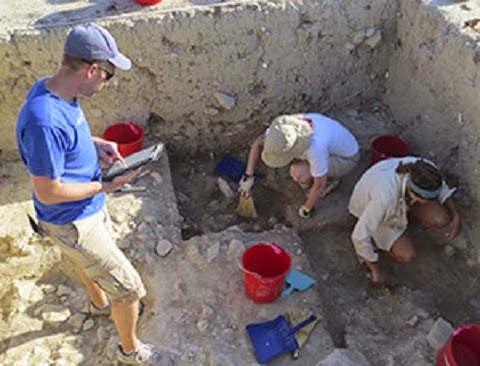 For the past several summers, Counts's archaeological project at the site of Athienou-Malloura on the island of Cyprus, has implemented protocols for using tablets in the field. Wessex Archaeology has recently completed an excavation through the Scheduled Monument of Car Dyke (Scheduled Monument number 1004923). Wessex was commissioned by Lincolnshire County Council, working with the Heritage Consultancy Team at Mouchel, on a flood alleviation scheme at Keeble Drive, Washingborough. The flood alleviation works will involve laying of new pipes to take surface water runoff away from nearby residential areas. 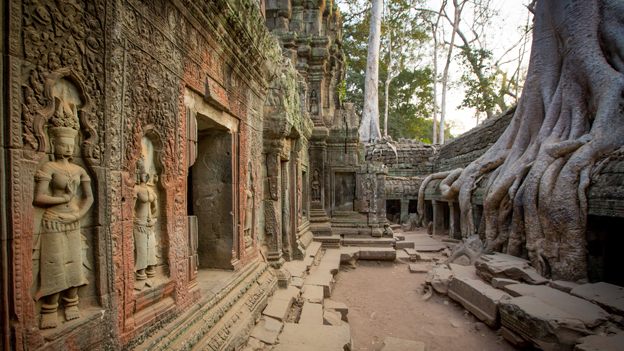 Deep in the Cambodian jungle lie the remains of a vast medieval city, which was hidden for centuries. New archaeological techniques are now revealing its secrets - including an elaborate network of temples and boulevards, and sophisticated engineering. In April 1858 a young French explorer, Henri Mouhot, sailed from London to south-east Asia. For the next three years he travelled widely, discovering exotic jungle insects that still bear his name. Today he would be all but forgotten were it not for his journal, published in 1863, two years after he died of fever in Laos, aged just 35. Mouhot's account captured the public imagination, but not because of the beetles and spiders he found. 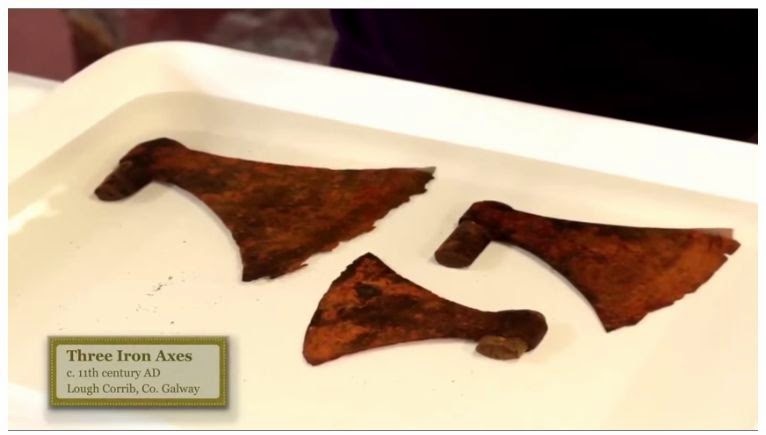 In order to commemorate the 1000th anniversary of the Battle of Clontarf, the National Museum of Ireland have produced a superb set of videos depicting various aspects of Viking Age Ireland. Community or public archaeology has often emphasised communities defined by an attachment to place, often defined by the archaeological site (cf. Simpson 2008); increasingly digital technologies allow a breakdown of this privileging of physical place and the concept of ‘community’ (cf. Waterton 2005; 2010), to connect geographically disparate populations. Digital public archaeology projects have emphasised crowd-sourcing, engagment, dissemination, and publicity using blogs, social media, webfeeds and so on (e.g. Richardson 2012, 2013; Bonacchi et al. 2012). As well as the challenges and opportunities relevant to other public archaeology projects, work which includes a significant digital public archaeology component has a series of more specific concerns. Increasingly the need for archaeologists to engage thoughtfully with digitally technologies has been recognised by a number of organisations (Archaeological Data Service 2010; Heritage Lottery Fund 2012; Institute of Archaeologists 2012), and greater numbers of projects are defined by their predominantly digital work. As a result there are implications both for local site-specific practice by people working as archaeologists — where we are “…progressively transforming a ‘‘world of scarcity’’ into one of ‘‘saturation’’, where space is no more an issue…” (Bonacchi 2012); the wider political context in which people interested in heritage operate (Richardson 2012, 2014); and how different interest groups including intelligent and critical consumers work in the historic environment “…without any professional or academic input whatsoever…” (Moshenka 2008). Athens - Archaeologists began on Monday using a revolutionary new deep sea diving suit to explore the ancient shipwreck where one of the most remarkable scientific objects of antiquity was found. The so-called Antikythera Mechanism, a 2nd-century BC device known as the world's oldest computer, was discovered by sponge divers in 1900 off a remote Greek island in the Aegean. The highly complex mechanism of up to 40 bronze cogs and gears was used by the ancient Greeks to track the cycles of the solar system. It took another 1 500 years for an astrological clock of similar sophistication to be made in Europe. The construction works for the new motorway Ionia Odos, in Messolonghi, western Greece, led to an important archaeological discovery. 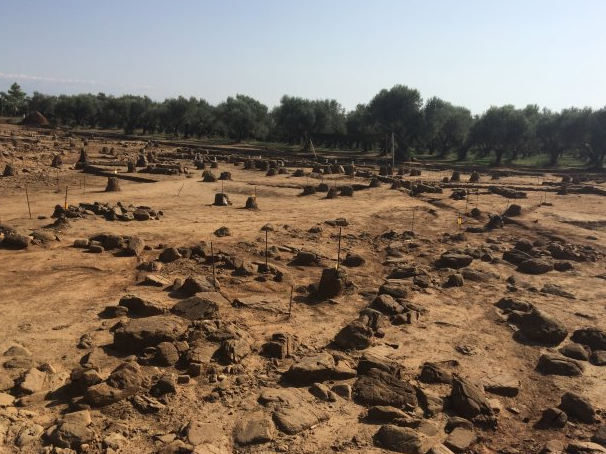 The recently discovered archaeological site of Alikyrna near Missolonghi in western Greece [Credit: Protothema] The archaeological site of Alikyrnas stretches to many acres and includes an entire ancient city near Aghios Thomas in Messolonghi. The Minister of Infrastructure, Transport and Networks Michael Chryssochoides visited the area and expressed his admiration for this great discovery. According to sources in the Greek media, the first findings suggest an ancient urban center which crosses over to the Ionia Odos construction site. 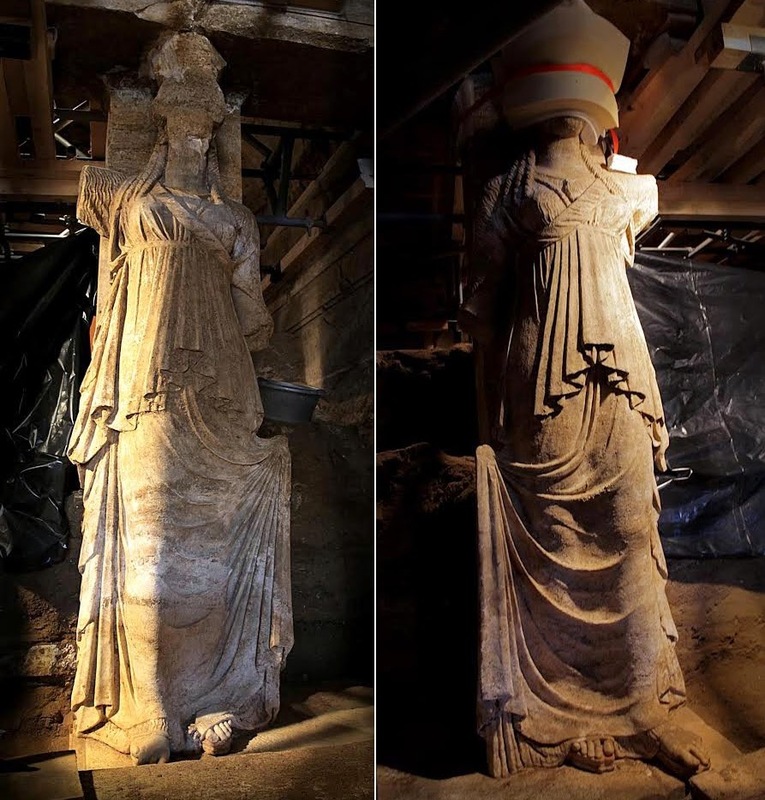 The two caryatids found at the Kasta Tomb in ancient Amphipolis were uncovered entirely by excavators, the ministry of Culture announced on Sunday. The full height of each caryatid is 2.27 metres and they are wearing chitons - or full-length draped dresses, tied in the middle - and a long himation, or a shawl-like cover over their dress, with fringes and several folds. They are wearing kothornoi, resembling platform boots or shoes and best known for being worn by ancient Greek actors. Their shoes preserve traces of red and yellow pigments, while their toes are depicted in very fine detail. Boomerangs are usually associated with Australian aborigines but these amazing wooden weapons have been found in Egypt, apparently dating back 2,000 years, and in Europe - the oldest one, which was found in a cave in Poland, being 30,000 years old. They were apparently toys but now archaelogists have found what sems to be a 2,000-year-old boomerang on the beach at Cotentin and it was not used for play, Le Monde newspaper reports. Some relationships last a lifetime – and University of Leicester archaeologists have discovered that they can last even longer after unearthing two skeletons at a lost chapel in Leicestershire that have been holding hands for 700 years. The happy couple refused to be parted by death when they were discovered by a team of archaeologists from the University of Leicester Archaeological Services (ULAS) working with local volunteers during an excavation at the Chapel of St Morrell in Leicestershire, a site of pilgrimage in Hallaton during the 14th Century. The four year excavation project with the Hallaton Fieldwork Group (HFWG) has revealed the full plan of the chapel as well as the cemetery and evidence that the hillside has been used since at least the Roman period. 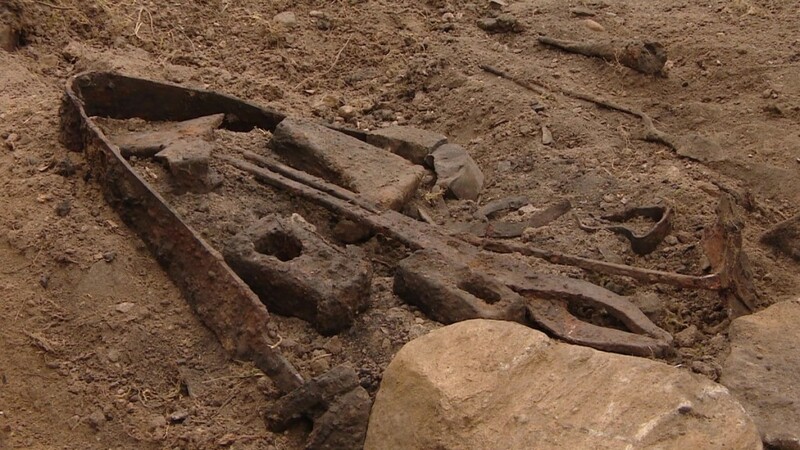 Three Teutonic battle axes from the late Middle Ages have been found by engineers who remove World War II artillery shells left the forests in the Forest District Wipsowo (Warmia and Mazury). Historic weapons will be donated to the museum. Engineers stumbled upon the historic axes by chance, while searching the woods metal detectors. 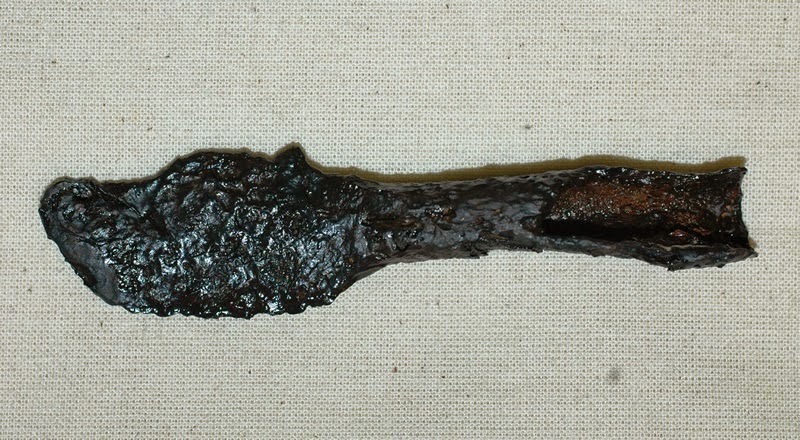 The weapons have been initially identified by an archaeologist as late-medieval Teutonic battle axes. Iron axes were close to each other, shallow underground, among the roots of trees. "It can be assumed that this is a deposit that someone left for better times. Perhaps the person fled, hid the weapons and never returned to this place" - told PAP Agata Trzop-Szczypiorska, responsible for archaeological supervision of the engineers’ work. 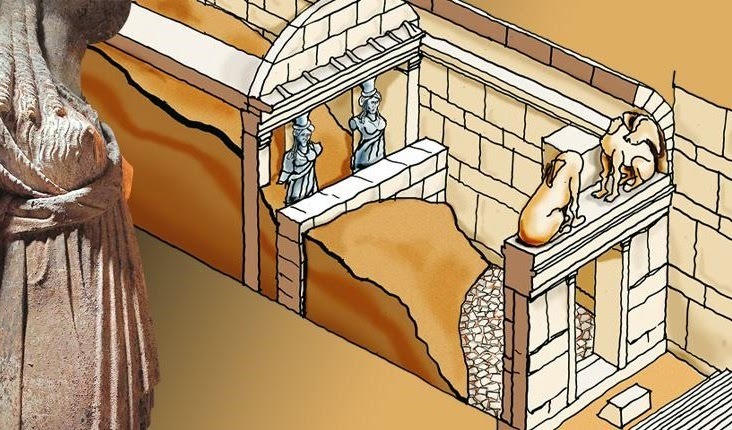 A high-ranking Ministry of Culture official told Greek news sources that the archaeologists who are currently clearing out the dirt from the third chamber in the Amphipolis tomb believe that a fourth chamber may exist. 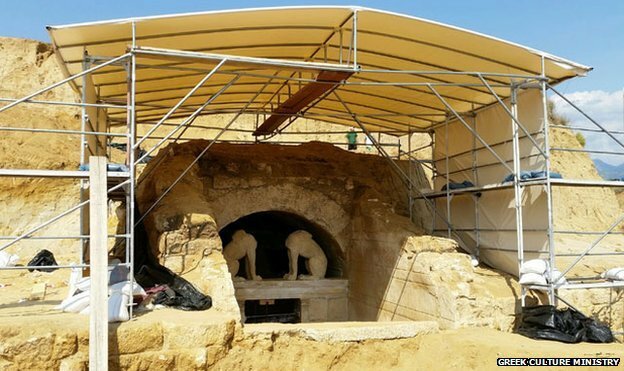 Meanwhile, the head of the excavation Katerina Peristeri told journalists that based on the findings so far, she believes the enigmatic tomb definitely dates back to the last quarter of the 4th century B.C. Mrs. Peristeri complained about colleagues who appear in the media claiming that the tomb may have been constructed in the Roman era. The structure dates back to the late 4th Century BC and is 500m (1,600ft) wide, dwarfing the burial site of Alexander's father, Philip II, in Vergina, west of Thessaloniki. 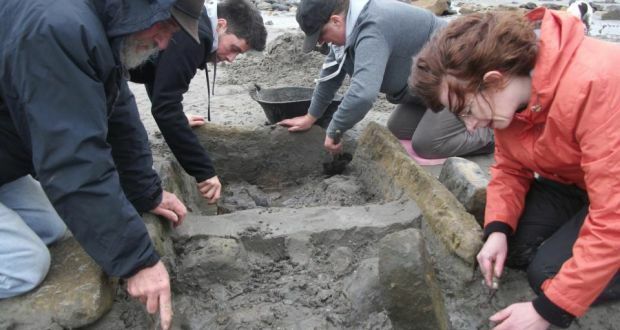 Archaeologists have discovered signs of human habitation, possibly dating back 4,000 years, on Sligo’s Coney Island. 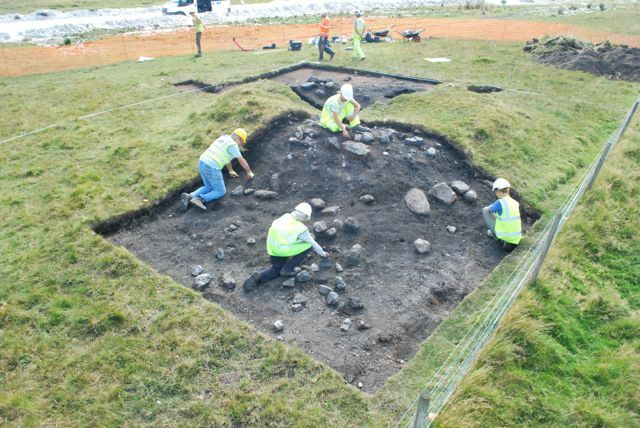 A box-like structure built from large stone slabs found on the island may have been used for bathing or cooking during the Bronze Age, experts believe. It has been excavated by a team led by Eamonn Kelly, director of Irish Antiquities at the National Museum. The structure is thought to be part of a fulacht fiadh, a prehistoric trough or pit that was dug into the ground and filled with water. Stones, heated separated on an outdoor hearth, would be added to bring the water to boil. Measuring about a metre long and 80cm wide, the structure was recently identified as an archaeological site by Ciaran Davis, an archaeology student at IT Sligo, and native of nearby Rosses Point, who alerted the museum. Versions of the same Bronze Age structure pop up all around Ireland and throughout the United Kingdom. Archaeologists, however, still have not agreed on their purpose. On a typically misty morning in the west of Ireland, just outside the medieval town of Athenry, County Galway, archaeologist Declan Moore opens the trunk of his car and invites me to pull on a pair of Wellingtons. “Believe me, you’ll need them,” he assures me as we cross the parking lot and hop a fence into a nearby field. Moore is taking me to visit an unexcavated fulacht fiadh (pronounced FULL-ahk FEE-add), or fulachtaí fia in plural, the most common type of prehistoric archaeological site in Ireland. Better known as a “burnt mound” in the neighboring United Kingdom, where they are also found, there are nearly 6,000 recorded fulacht fiadh sites dotted around Ireland alone. As we trudge through the wet and soggy field, Moore points out a small stream. “They are usually found near water or in marshy areas, so this is a prime location,” he explains. When we arrive at the site, Moore shows me the basic features of a fulacht fiadh—a horseshoe-shaped mound of soil and rocks surrounding a depression big enough to park a small car in. Moore climbs the four-and-a-half-foot mound and quickly wipes away some of the soil to expose the layer of stones. He then points to the depression. “If we were to excavate, we’d find a trough dug into the ground there,” he says. It takes us only 15 minutes to fully explore the still-buried site. Archaeological investigations near Dumfries have unearthed artefacts relating to the Roman Army's occupation of southern Scotland. 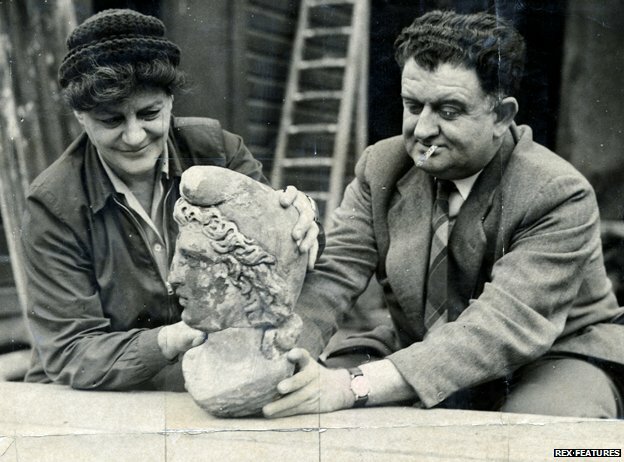 The discoveries include an iron javelin head, the remains of a Roman boot, samian pottery and tile fragments. They were found at Wellington Bridge near Kirkton during Scottish Water works to lay a new mains in the area. Simon Brassey, of its environmental engineering team, said the items dated back more than 1,850 years. "It is fascinating for everyone involved to make this kind of discovery when working on a project such as the laying of new pipes," he added. Village from the Roman period, dating from 3rd-4th century AD, has been discovered in Lipnica Dolna near Jasło (Subcarpathia). Among approx. one thousand archaeological objects there is a large pottery kiln, in which ceramics were fired. "The kiln is two meters in length and the same in width. It stands on a small tip in the Wisłoka valley. Its location shows that the wind blowing from the river was used to maintain the temperature during the firing cycle" - said Tomasz Leszczyński, archaeologist from the Subcarpathian Museum in Krosno. He added that "such kilns are extremely rare in the Carpathians". "So far two similar structures have been found, in Krosno and Sanok" - he emphasised. When Olaf mentioned that he was going to be digging a round barrow in its entirety on the edge of Dartmoor in August, I did everything I could think of in order to secure a place on the crew. This is an incredible and very rare chance to investigate what hopefully may yet turn out to be a relatively undisturbed Bronze Age ring cairn/round barrow c. 2000 BC or so. 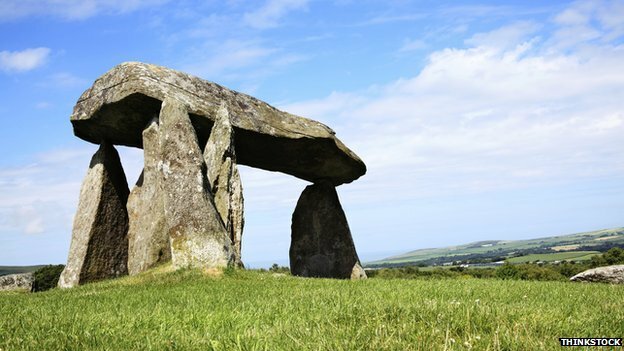 I have been interested – to an almost manic degree – in British prehistory and specifically megaliths for more than 20 years now. I am a self-confessed stone circle, longbarrow, standing stone, stone row and rock art-loving fanatic and proud of it. Long before I began a career in archaeology in the late 1990s I travelled to England with fanciful ideas of our prehistoric ancestors and only a handful of sites under my belt to ponder. I had been to Avebury and Stonehenge and the like but, amazing as these sites are, they were covered in throngs of people. I first went to Dartmoor in the summer of 1997 and fell madly in love with every aspect of this lonely and enchanted land, and this love drove me around much of the rest of the British Isles to see more. Being back in Dartmoor for a month has given me the chance to hike around the Moor in the evenings to new and ever more mysterious sites. This place is really a paradise for hikers and lovers of the prehistoric past. This near-obsession back in Canada at the dawn of the new millennium drove me to pursue a degree and career in archaeology. Almost 20 years later I am back here again been given the chance to fully investigate something from the period, people and type of place that turned me into an archaeologist in the first place. 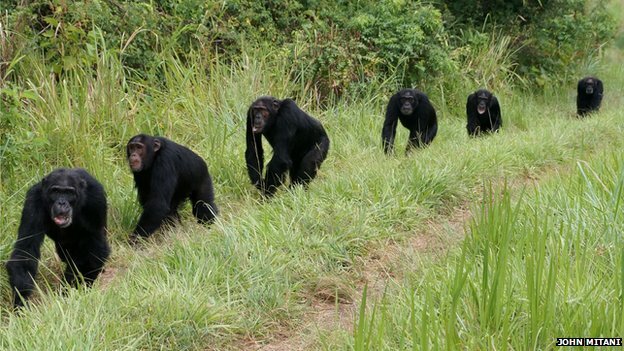 A major study suggests that killing among chimpanzees results from normal competition, not human interference. Apart from humans, chimpanzees are the only primates known to gang up on their neighbours with lethal results - but primatologists have long disagreed about the underlying reasons. One proposal was that human activity, including destroying habitats and providing food, increased aggression. But the new findings, published in Nature, suggest this is not the case. Instead, murder rates in different chimp communities simply reflect the numerical make-up of the local population. In the course of an educational dig in Gernsheim in the Hessian Ried, archaeologists from Frankfurt University have discovered a long lost Roman fort: A troop unit made up out of approximately 500 soldiers (known as a cohort) was stationed there between 70/80 and 110/120 AD. Over the past weeks, the archaeologists found two V-shaped ditches, typical of this type of fort, and the post holes of a wooden defensive tower as well as other evidence from the time after the fort was abandoned. An unusually large number of finds were made. This is because the Roman troops dismantled the fort and filled in the ditches when they left. In the process they disposed of a lot of waste, especially in the inner ditch. A new, partially intact bog body has been discovered by Bord na Mona workers in Co Meath. 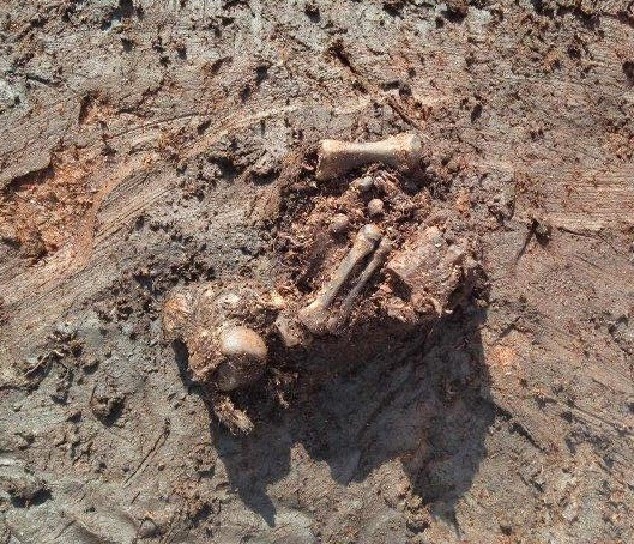 Archaeologists from the National Museum of Ireland (NMI) have confirmed that it is working on a find of human remains in a bog near the border with Co Westmeath, at Rossan bog. Archaeologist Maeve Sikora told the Irish Examiner that workers from Bord na Mona came across the remains. “Archaeologists and conservators from The National Museum of Ireland have been on site investigating the findspot of archaeological human remains in a bog in Co. Meath, near the border with Co. Westmeath,” Ms Sikora said.